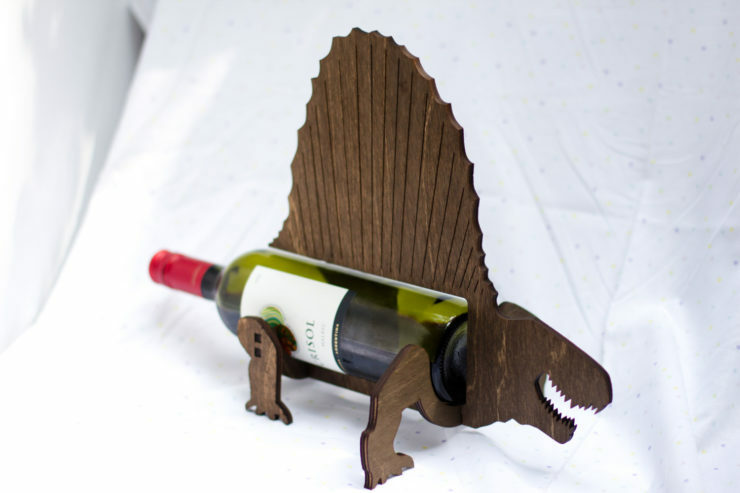 This Dinosaur Wine Holder Will Make Your Bottle Look Ferocious | OhGizmo! By Randy Donack on 11/01/17 • Leave a comment! 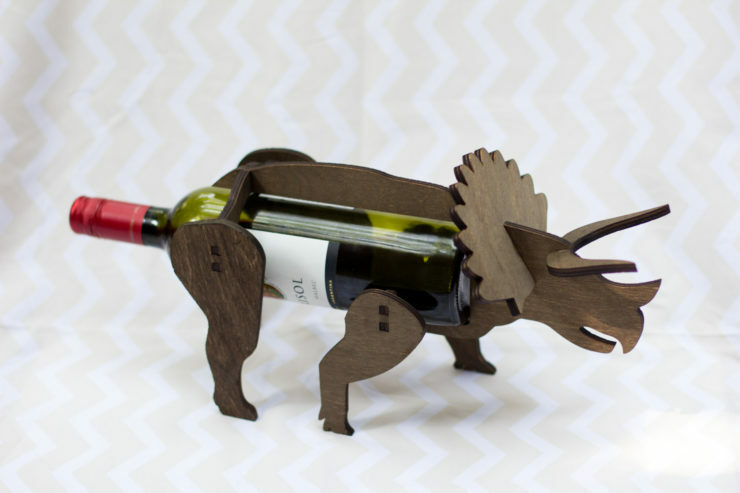 Let’s be honest, the only reason you bought that bottle of wine for $29 at target was because you thought it made you look more cultured. 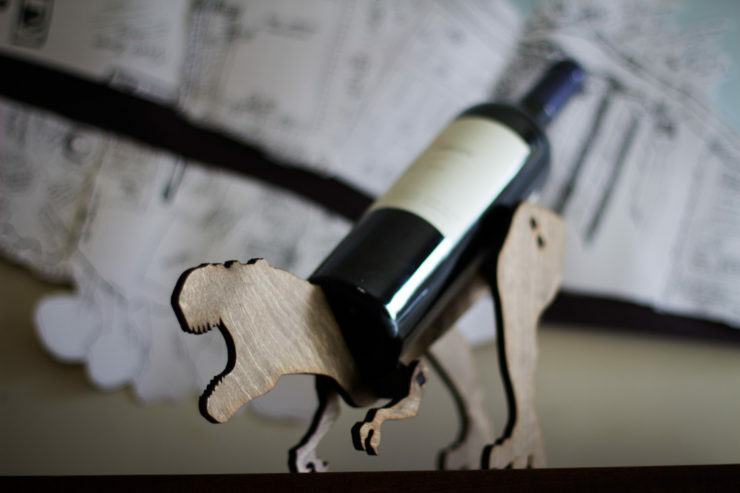 And while it definitely does, it would look a lot better if it was serving as the spine of a wooden Tyrannosaurus Rex. Each is made out of Baltic Birch plywood and available in a Dark Walnut or Orange Oil finish. And not only does the T-Rex get love, but you can even get a triceratops, stegosaurus or dimetrodon. 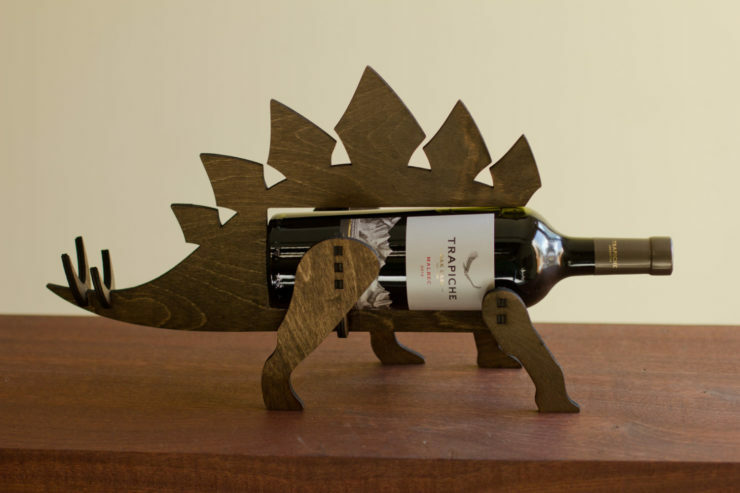 It’s like having your very own Jurassic Park, except it’s for wine-o’s! They’re available for $39 each on Etsy. Hit the jump to see the other dinosaurs available.